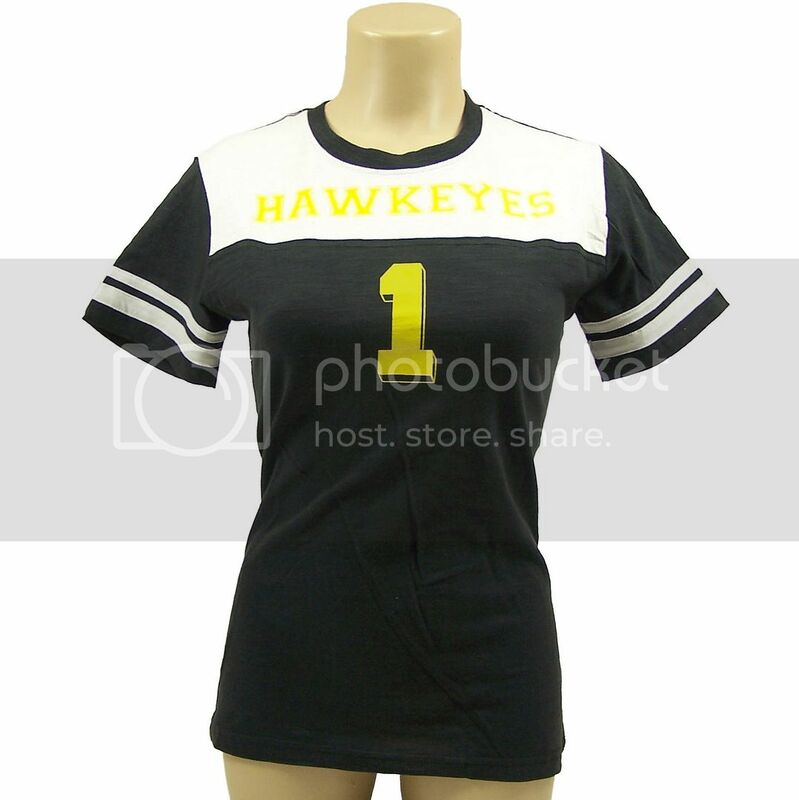 Showing your team pride doesn't mean sacrificing fashion with this fantastic Football Slub Shirt.Officially licensed by the Iowa Hawkeyes and the NCAA. Comfy stylish and perfect for game day. Team Name and #1 screen printed on the center front. Orange stripes on sleeves and white top stitching. Relaxed vintage clothing with that classic vintage soft feel.